Kotak Mahindra Bank customers can check their account mini statement through SMS Banking and online, you don’t need mobile banking or net banking facility. You can check your last 5 transactions details online and last 3 transactions details through SMS Banking. See how to check your Kotak Bank account mini statement. To receive your account last 3 transactions details via SMS, you just need to send an SMS from your registered mobile number. After sending an SMS, you will receive an SMS containing last 3 transactions details. You will receive your mini statement via SMS. 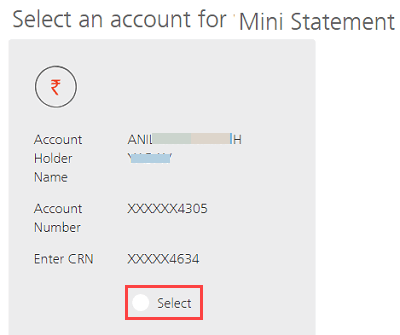 Kotak Bank customers can check account mini statement online without net banking. You can check last 5 transactions details online. 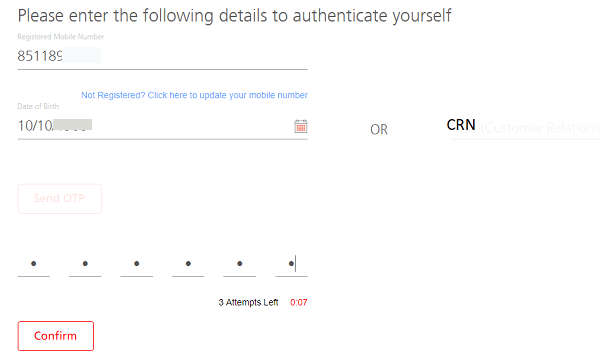 2: Now enter your registered mobile number and DOB or CRN number and click on Send OTP. You will receive an OTP on your registered number, enter this OTP. 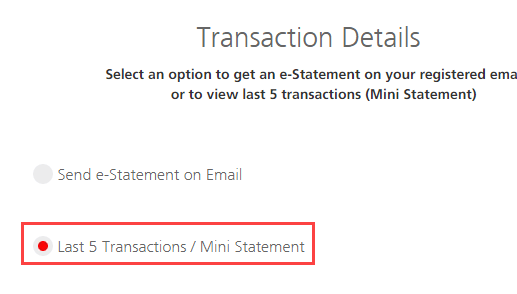 4: Now select Last 5 Transactions/Mini statement option. Now you can see your account last 5 transactions details. So this is how Kotak Mahindra Bank customers can check account mini statement instantly through SMS and online without net banking. You can also use mobile banking and net banking facility to view full account statement.